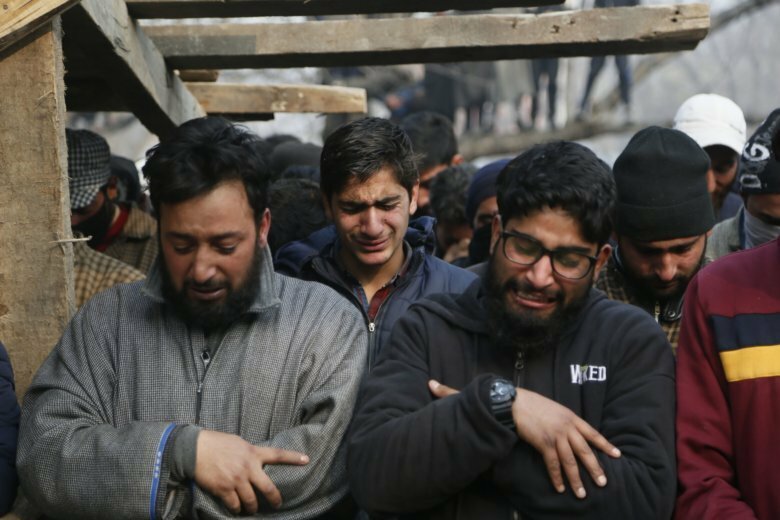 SRINAGAR, India (AP) — Six rebels and an army soldier were killed in a gunbattle in Indian-controlled Kashmir on Sunday, officials said, sparking violent protests by residents seeking an end to Indian rule over the disputed region and leaving a teenage boy dead and 20 people injured. Indian army spokesman Col. Rajesh Kalia said Indian troops surrounded a village in the southern Shopian area early Sunday, leading to an exchange of gunfire in which six militants were killed. An army soldier was killed and another wounded in the fighting, he said. The incident triggered anti-India protests and clashes as hundreds of people marched near the site of the gunbattle in solidarity with rebels as the fighting raged in the area. A teenage boy was killed and 20 people were injured when troops fired bullets, shotgun pellets and tear gas to confront the stone-throwing protesters, police and residents said. Most Kashmiris support rebel demands that the territory be united either under Pakistani rule or as an independent country, while also participating in civilian street protests against Indian control. In recent years, mainly young Kashmiris have displayed open solidarity with the rebels and sought to protect them by engaging troops in street clashes during military operations.